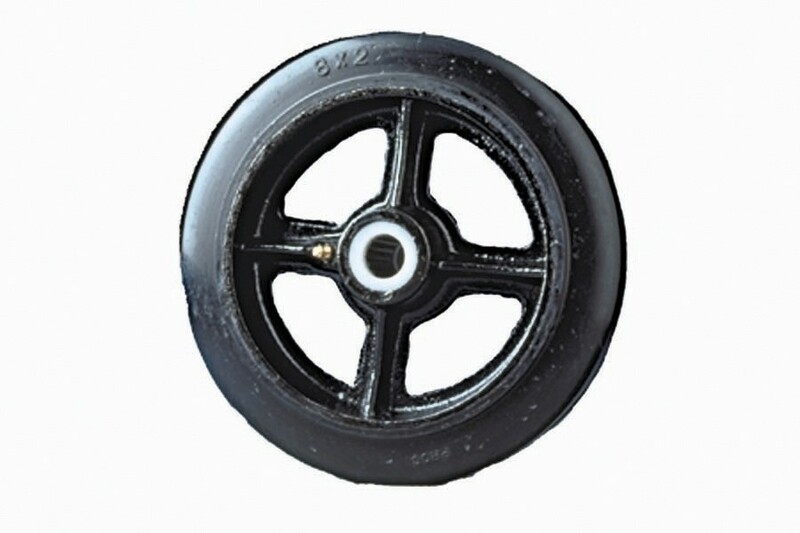 HI-CAP RUBBER MOLD-ON / CAST IRON WHEELS, Size: 7 x 1 5/8", Cap. (lbs. ): 760, Hub: 2", Bore: 3/4"
Features long service with true abrasion resistance. Made of 90 Durometer hard rubber tread. They start easier with heavy loads with less effort to keep them rolling, while the harder tread reduces heat build-up. Harder surface also reduces embedding of foreign materials from floors. Semi-steel wheel centers with fitting for pressure lubrications. FOB Shipping Point. Size: 7 x 1 5/8"
Higher load capacity of standard rubber mold-on wheels with semi-steel centers.